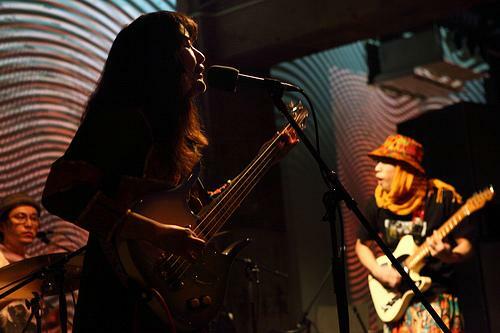 Praha Depart’s music is a fusion of psychedelic rock, metal and shoegaze with a tribal/folk beat. Something the Japan Times describes as “irrepressibly danceable gypsy punk.” The instrumentation and female vocals ebb and flow between darkly serene to ferocious crescendos of emotion and noise. Jumpei’s intricate and powerful drumming is the backbone. 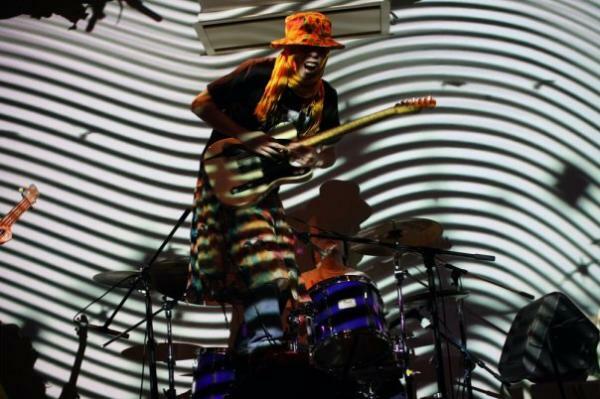 An infectious tribal beat peppered with thunderous fills and improvised solos. Tsukasa layers on simple guitar melodies accentuated with brilliant phrasing, spine shivering effects and lightning speed riffs. Lastly, Mai attacks the low end on bass while using her voice to demonstrate the full spectrum of her emotions with soothing whispers, playful shrills, ear shattering war-cries and bloodcurdling screams. 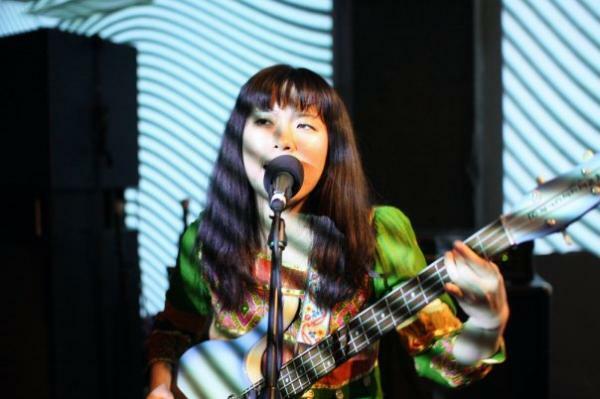 Already revered in Tokyo’s underground, Praha Depart ventured stateside in 2011 playing multiple shows in New York and Philadelphia followed by a European tour with 11 shows in Slovenia, France, Spain, Netherlands and Germany. Praha Depart’s music is soulful, unpretentious and overflowing with emotion and raw power. PRAHA DEPART started in 2004. We are active mainly in Tokyo. One day we bought Bohemian boots at a department store, so we came up with the name: PRAHA DEPART. It means a department store in Prague. Before the show, rather than stay in the venue, we often take a walk around the city. We wanna feel like we’re really there. The time, the weather, the people…. And then we never think about ourselves on stage, just feel the groove. Our dream is to tour around the UK, the US, and Europe. Places like London, NY, Paris and Prague! The first goal of next year is to play shows in New York City. And our second goal is to release our new album. We’re planning to keep on doing what we’re doing!